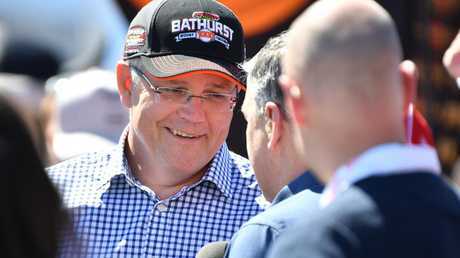 Prime Minister Scott Morrison at the Bathurst 1000 V8 Super Cars Championship where was called a “Muppet”. Picture: AAP Image/Brendan Esposito. An insult you can level at a prime minister: calling them the C-word. An insult you can't level at a prime minister: calling them a "f****** Muppet". 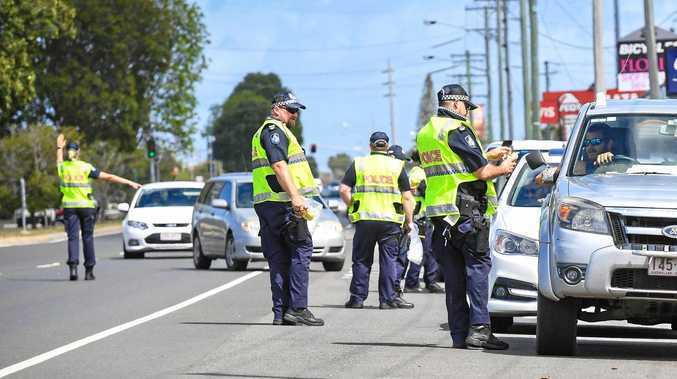 That appears to be the conclusion after a court in New South Wales' central west fined a man $500 for behaving in an offensive manner towards Scott Morrison last month. 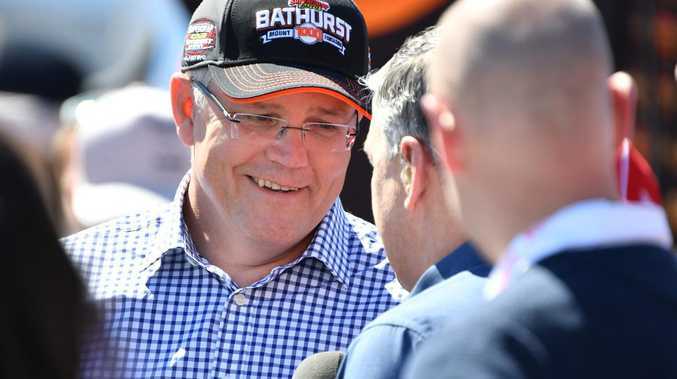 NSW Police tended facts to the court that Maccaul and Mr Morrison's paths crossed on October 7 when the PM paused to chat to racegoers and pose for photos. Maccaul approached the PM and began shouting, saying: "You're a f****** Muppet", several times. "It's just enough for a joint, I was going to smoke it while I watched the race," Maccaul was reported as saying. As officers continued to search Maccaul's bag police found five tabs of LSD. It's a very different outcome to that of Sydney man Danny Lim whose conviction for calling former PM Tony Abbott the C-word was overturned on appeal. 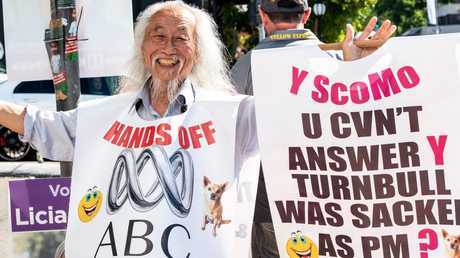 Mr Lim, who is well known in inner Sydney for holding up a colourful sandwich board with various political statements and emojis on it - usually accompanied by his dog Smarty - found himself on the wrong side of the law in 2015 when he took aim at Mr Abbott. A banner he was holding said "Peace smile. People can change. Tony you can't." However, the "a" in can't was overturned so it resembled an insult. Danny Lim’s conviction for offensive behaviour was overturned. Picture: Monique Harmer. Like Maccaul, Mr Lim was fined $500 for offensive behaviour. But the conviction was overturned in 2017 when Judge Andrew Scotting declared "wording alone" was not offensive. "While the conduct was inappropriate and in poor taste, I am not satisfied beyond reasonable doubt it was offensive," he said. "The front of the sandwich board was capable of being construed as being clever or light hearted (while) also capable of being read as the word 'can't'. "The language used was clearly a play on words".